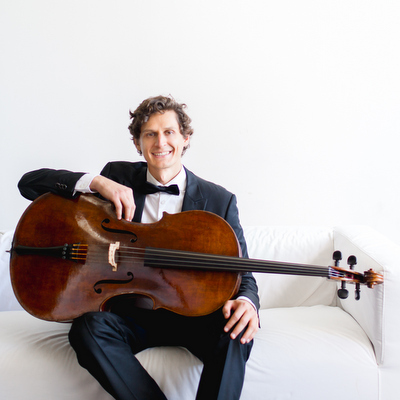 Christoph Wagner is a prize-winning cellist and sought-after chamber musician and pedagogue. He received first prizes at the German Youth Competition Jugend Musiziert, the Ribalta Mozart Italia Competition in Italy, and the Peter-Pirazzi-Competition in Germany. He was also a prize winner of the National Society of Arts and Letters Competition in Bloomington, Indiana in 2016 and 2017. In addition, he has received scholarships from the Richard Wagner Verband Frankfurt, the Lions Club Karlsruhe and the Theodor Rogler Foundation for Young Musicians. As a member of the Junge Deutsche Philharmonie, he performed in major concert halls in Europe with the Berlin Philharmonic and the Concertgebouw Amsterdam under renowned conductors including Jonathan Nott, Lothar Zagrosek and Stefan Asbury. He performed in the Gürzenich Orchestra/Opera Cologne in the 2013-14 season and has performed in festivals in Switzerland, Croatia, France, Italy, South Africa, South America, China, South Korea, and the United States. He has been a passionate music ambassador as a fellow of the Live Music Now – Yehudi Menuhin Foundation in Germany, and as a musician with Classical Connections in Bloomington, Indiana, where he performed numerous concerts in underserved areas. In 2018, he received the Sviatoslav Richter Grant from Rice University for outreach concerts in schools and participated in a summer residency with Street Symphony in Los Angeles. Christoph received a Bachelor of Music degree from the Frankfurt University of Music and Performing Arts, a Master of Music degree from Indiana University, and is currently pursuing a Doctor of Musical Arts at the Shepherd School of Music at Rice University.